When it comes to winter bridal looks, it’s all about the accessories! Frigid temperatures call for a layered wedding day outfit. With the right pieces, your winter wedding outfit can become even more cohesive with the rest of your wedding style. Stay warm while looking gorgeous with a glamorous fur stole, cozy knit sweater, cool leather jacket, and of course a great pair of boots for adventuring. Here are a few of our favorite enviable winter bridal looks! shop similar jacket | photo by Kristian Lynae Photography, wedding dress by Bateau Bridal Boutique; see more from this wedding inspiration shoot here! shop similar cardigan | photo by Emily Delamater Photography and Leah Fisher Photography, wedding dress by Watters; see more from this wedding inspiration shoot here! shop similar fur stole | photo by Yeray Cruz, wedding dress by L’Arca; see more from this wedding inspiration shoot here! shop similar leather jacket | photo by Phan Tien Photography; see more from this pre-wedding shoot here! shop similar black felt hat | photo by Erin Wheat Photography, wedding dress by Claire Pettibone; see more from this wedding inspiration shoot here! shop similar fur stole | photo by Leighanne Herr, wedding dress by Watters; see more from this wedding here! shop similar fur jacket | photo by Marcie and Shawn Photography, wedding dress by Hayley Paige; see more from this wedding here! shop similar fur stole | photo by LookImaginary, wedding dress by Watters; see more from this wedding here! 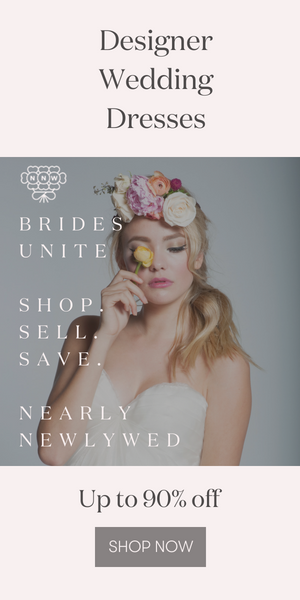 shop similar knit wrap | photo by Cat Mayer Studio, wedding dress by Free People; see more from this wedding here! shop similar fur jacket | photo by Ariana Tennyson Photography, wedding dress by Modern Trousseau Nashville; see more from this wedding here! shop similar fur stole | photo by Joel Allegretto Photography; see more from this wedding here! shop exact wrap sweater | photo by Heather Burris Photography, wedding dress by Sweet Caroline Styles, sweater by Cupshe; see more from this wedding inspiration shoot here! shop similar fur stole | photo by Coley & Co Photography, wedding dress by BHLDN; see more from this wedding here! shop similar knit wrap | photo by Erin Wheat Photography, wedding dress by For Love and Lemons; see more from this wedding inspiration shoot here! Loving these winter bridal layers, but haven’t picked a dress yet? Definitely check out these tips for what to do before your first bridal appointment!